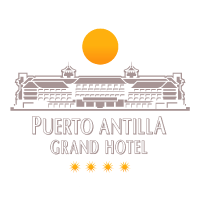 400 rooms, designed to meet the needs of our customers. 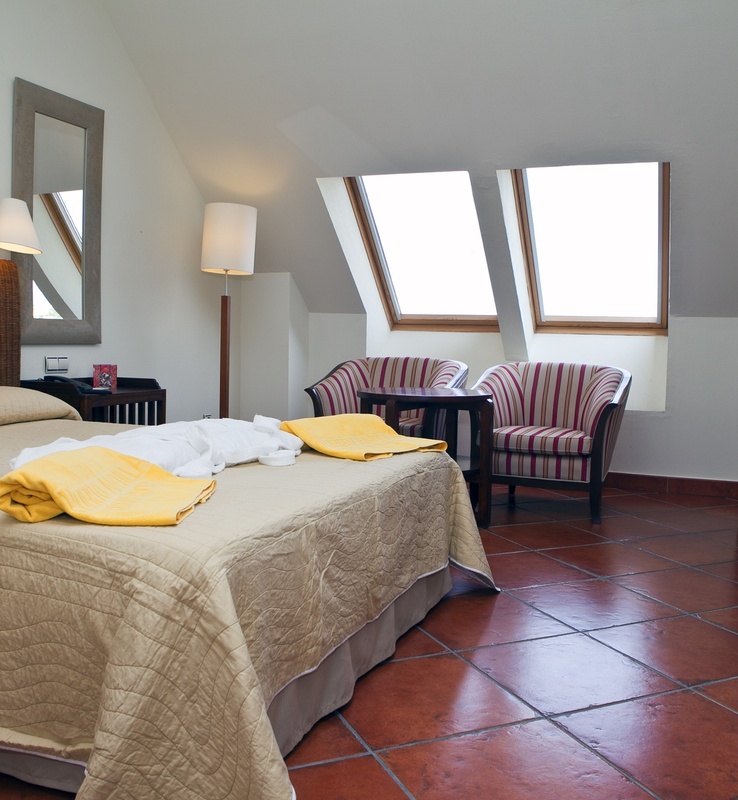 Enjoy one of the most romantic and cozy rooms we have in Puerto Antilla Grand Hotel, the double attic room. 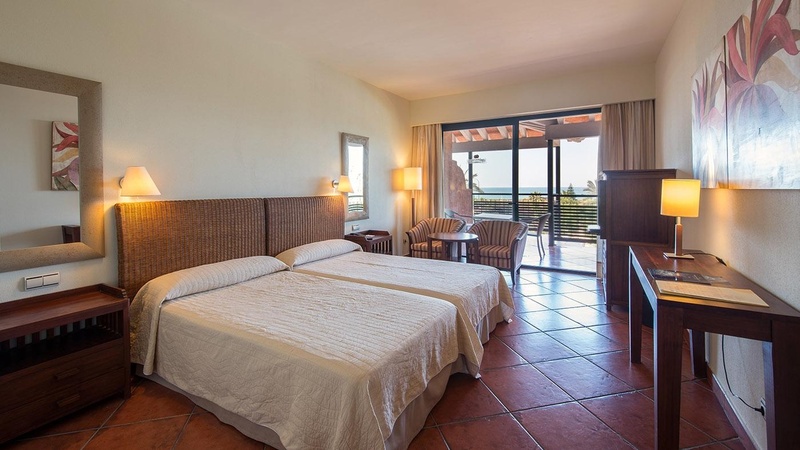 It is the ideal room for couples who want to give their summer vacation a touch of romance or enjoy an unforgettable weekend. 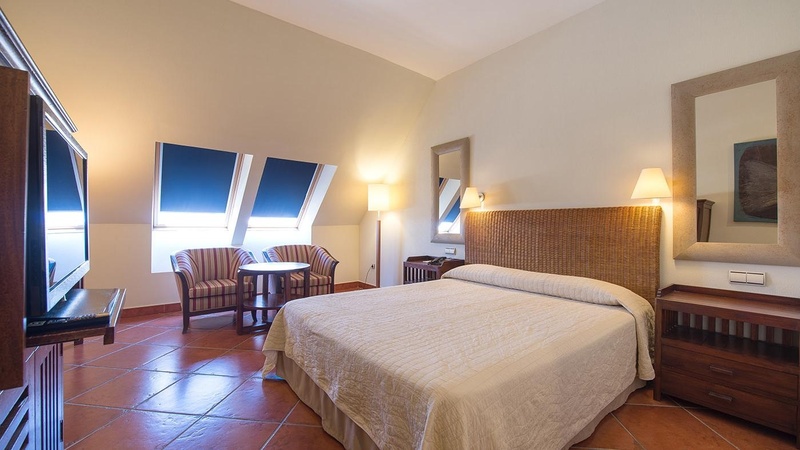 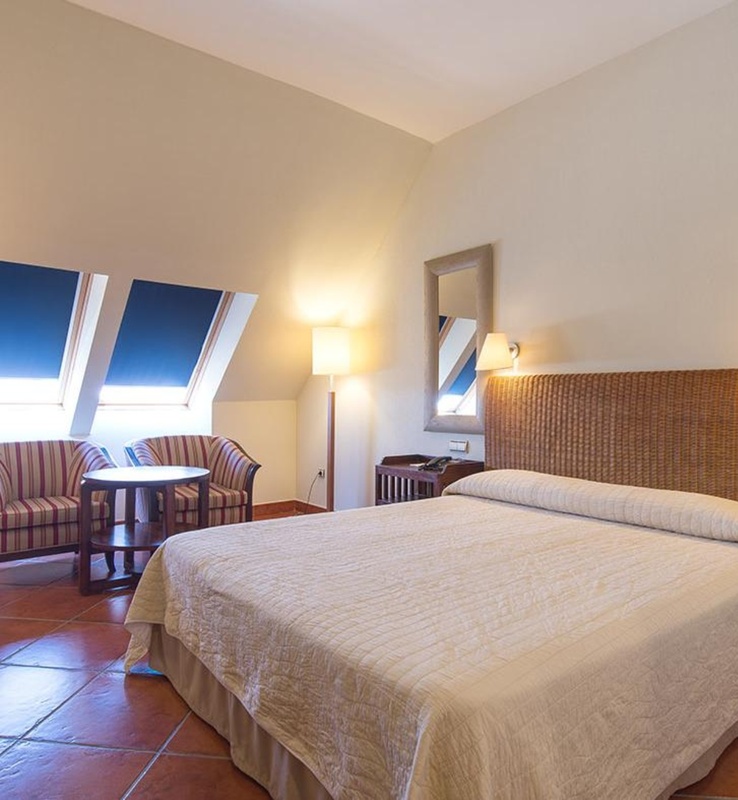 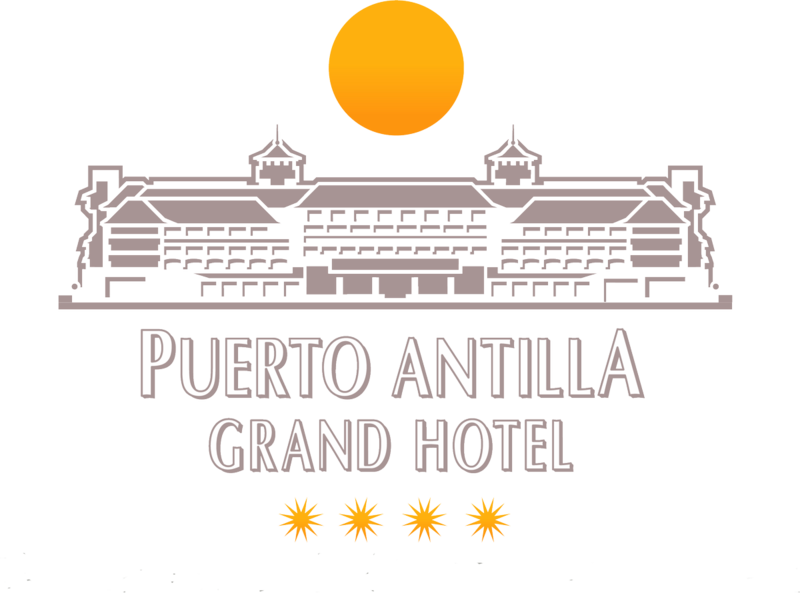 Enjoy one of the most cozy rooms we have in Puerto Antilla Grand Hotel, the double attic room single use. 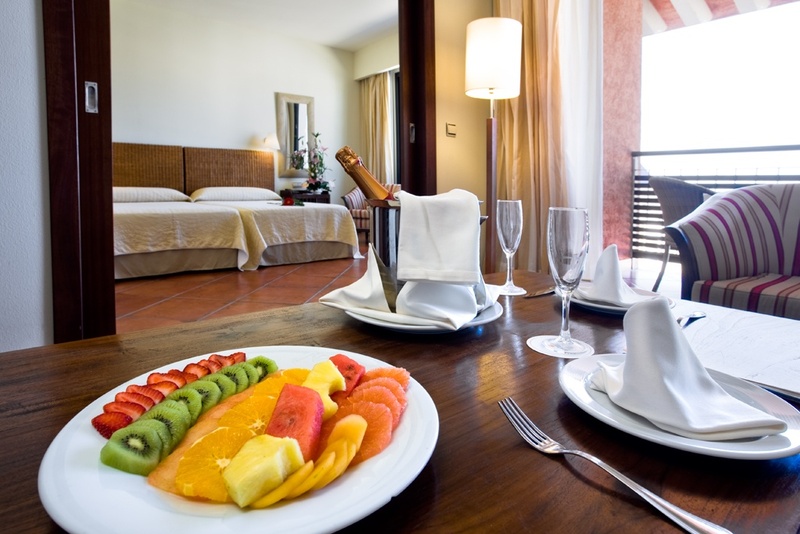 It is the ideal room for singles who want to enjoy their summer vacation or enjoy an unforgettable weekend. 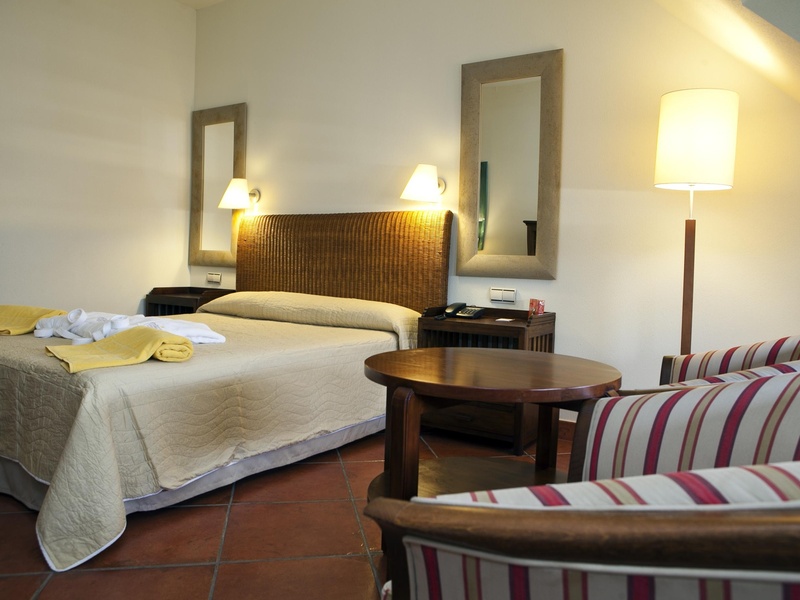 Elegant and comfortable rooms. 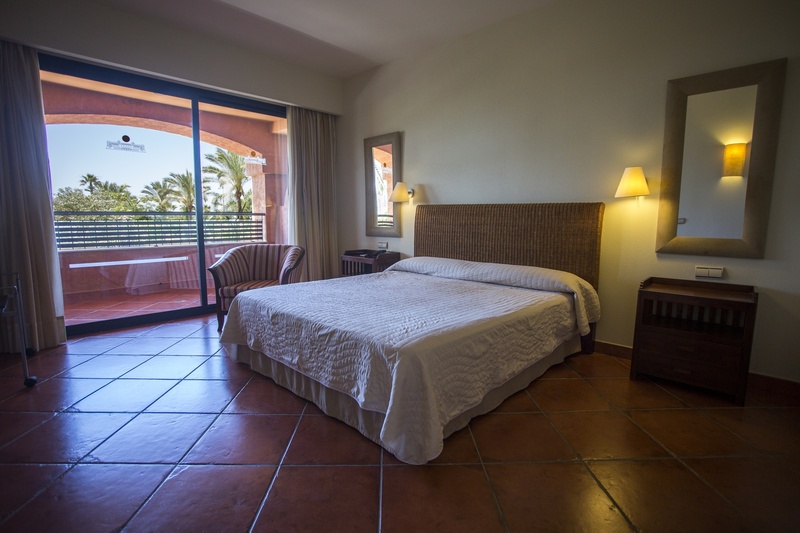 The Standard Double Room of Puerto Antilla Grand Hotel is the ideal room for a well-deserved rest during your holidays in Islantilla. 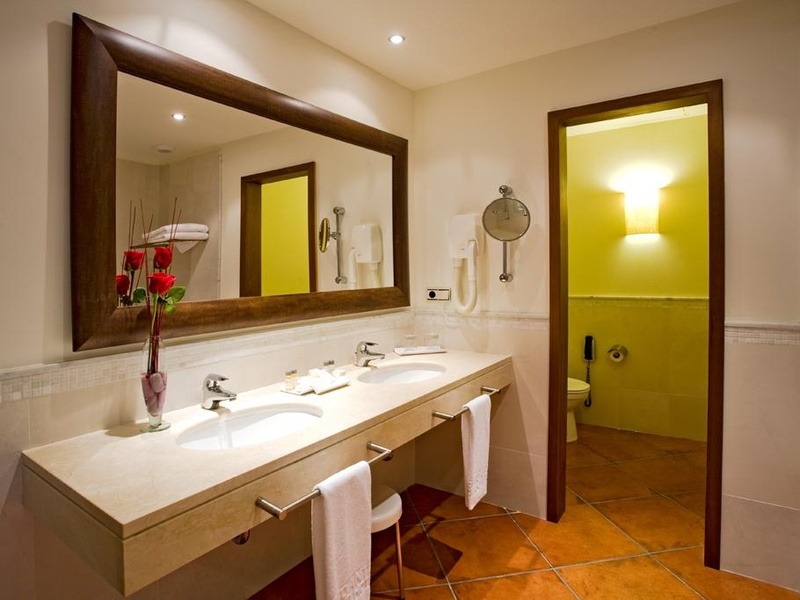 Here you will find the necessary comfort to feel at home. 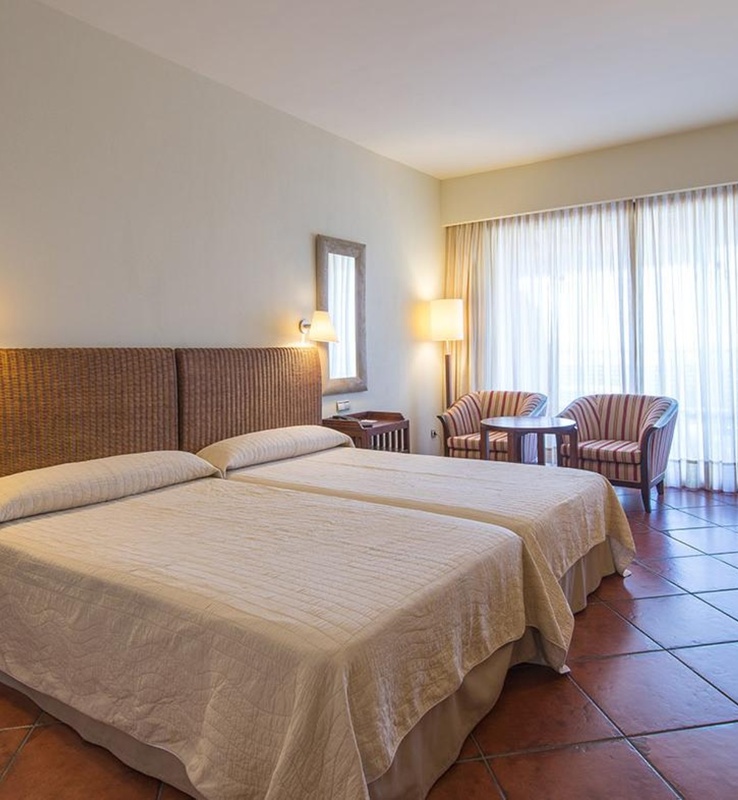 Elegant and comfortable rooms. 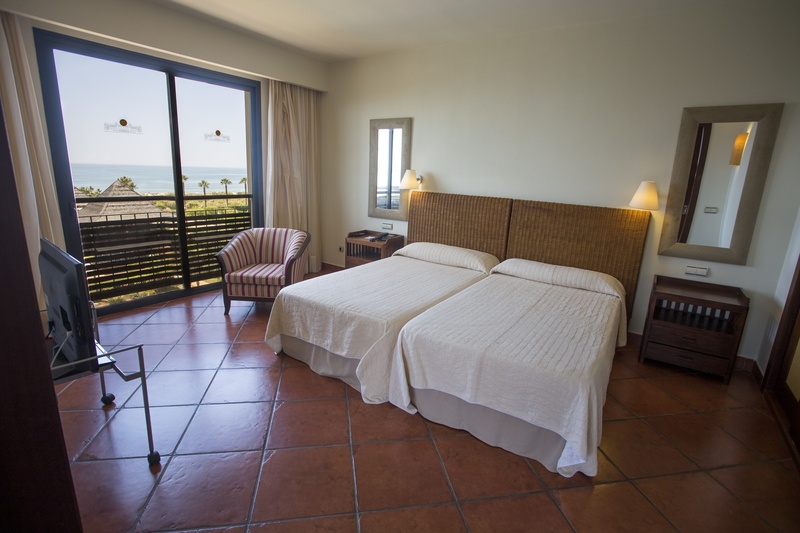 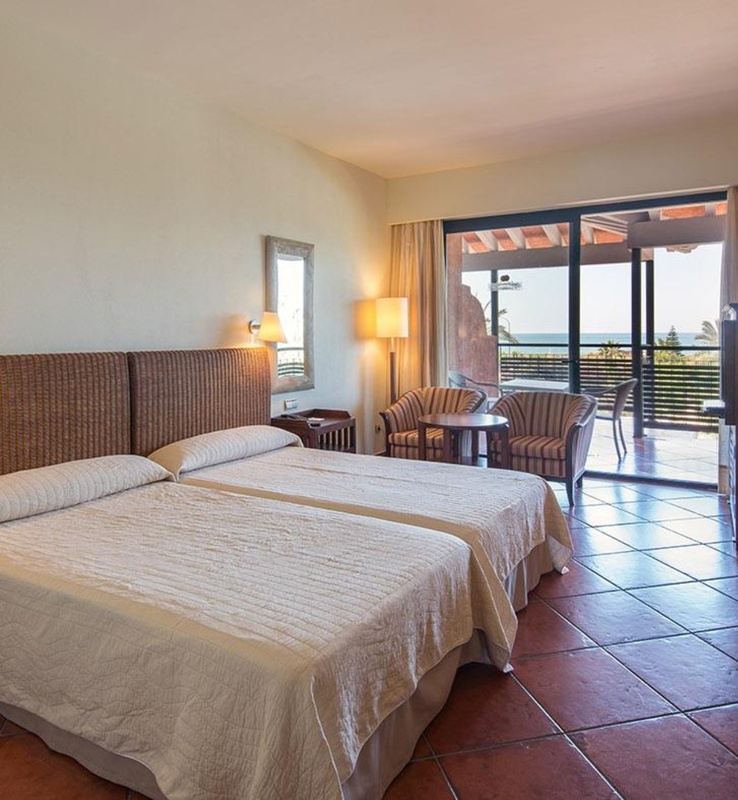 From the terrace of your room, you can enjoy the breathtaking views of the fine golden sand beach of Islantilla, a beautiful spot on the coast of Huelva and the Atlantic Ocean. 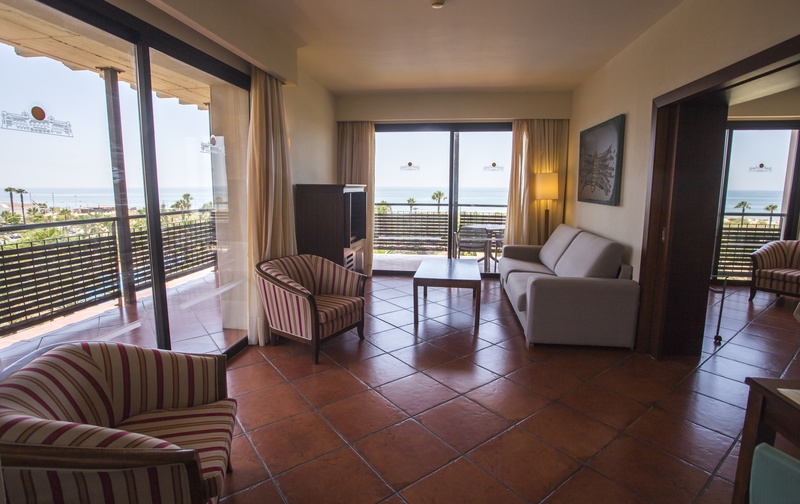 Terrace or furnished balcony overlooking the sea. 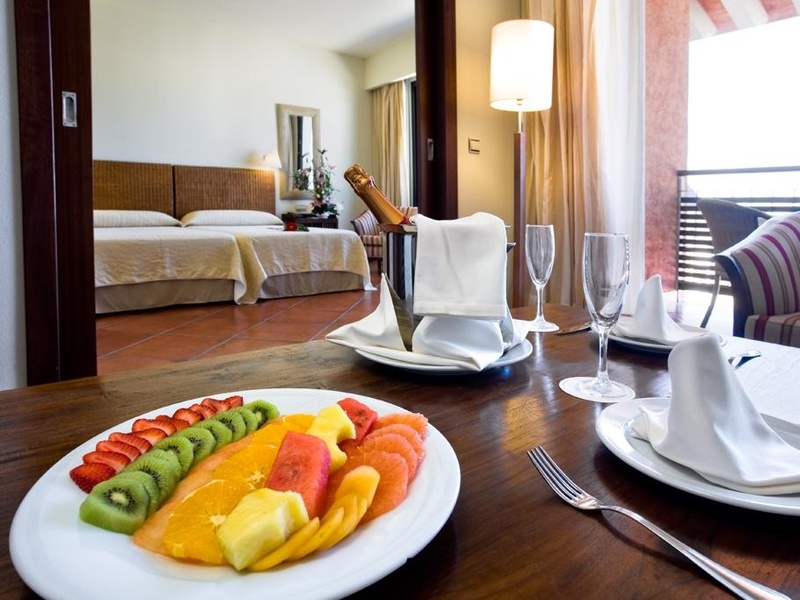 Elegant and comfortable rooms. 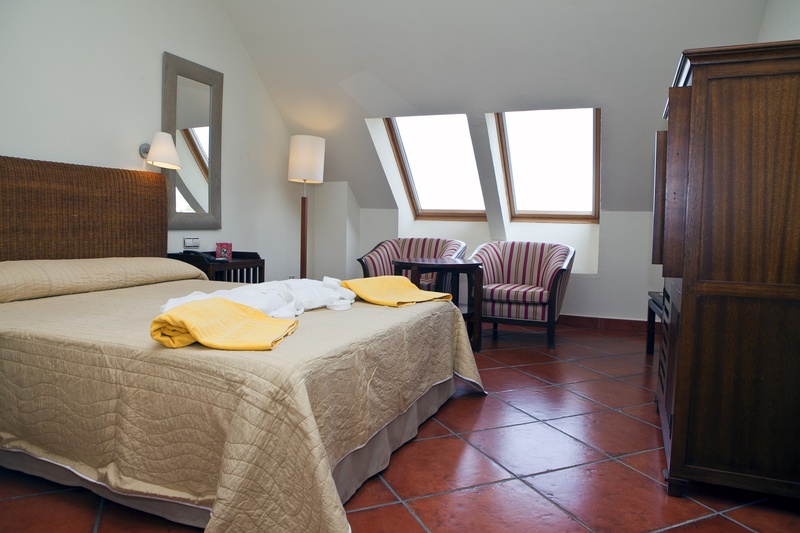 Composed of bedroom and living room. 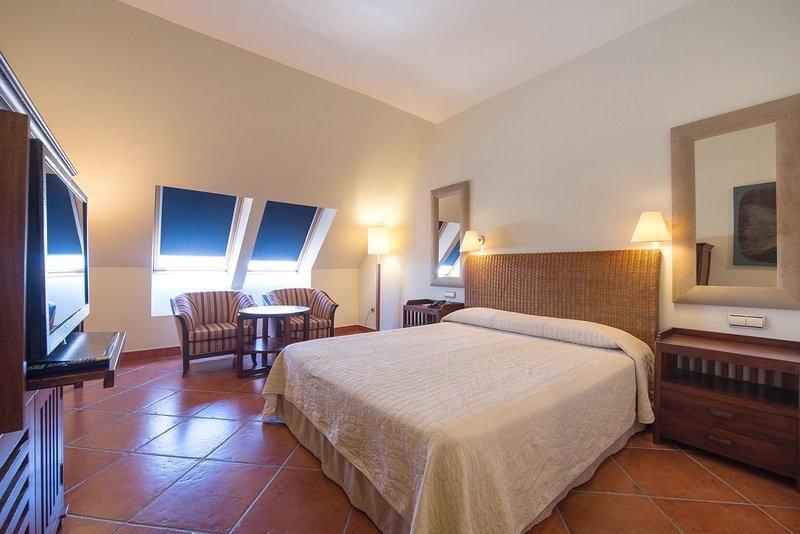 Enjoy your stay in one of our magnificent Standard Junior Suite rooms, highly recommended if you want to relax and rest on the sofa, in the privacy of your own living room, provided with privacy door that separates it from the bedroom. 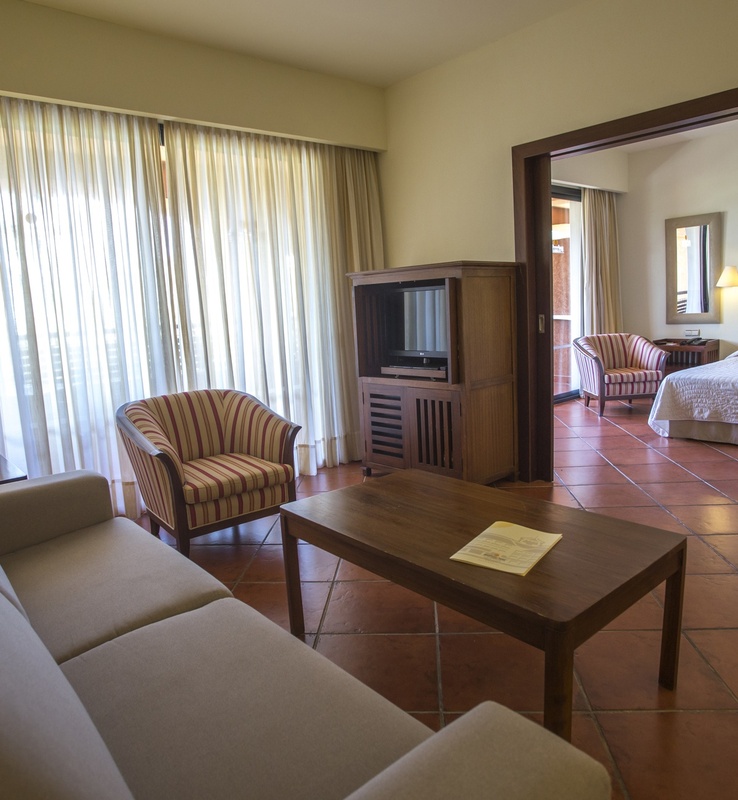 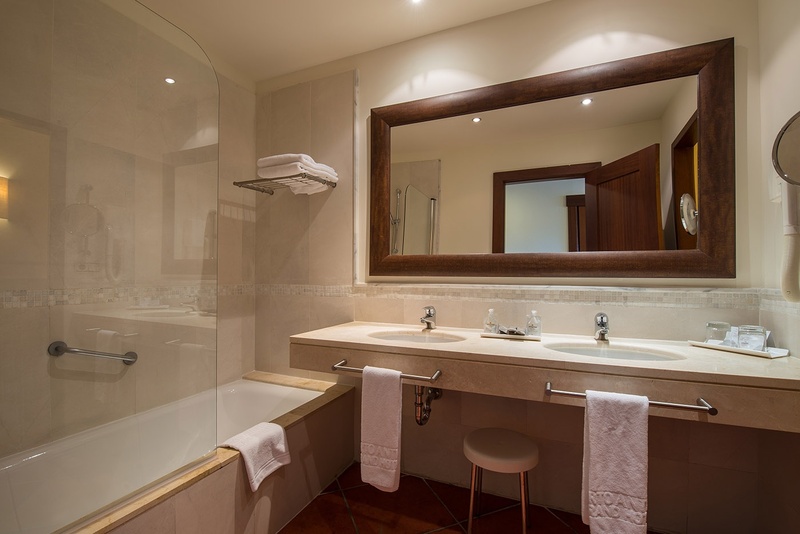 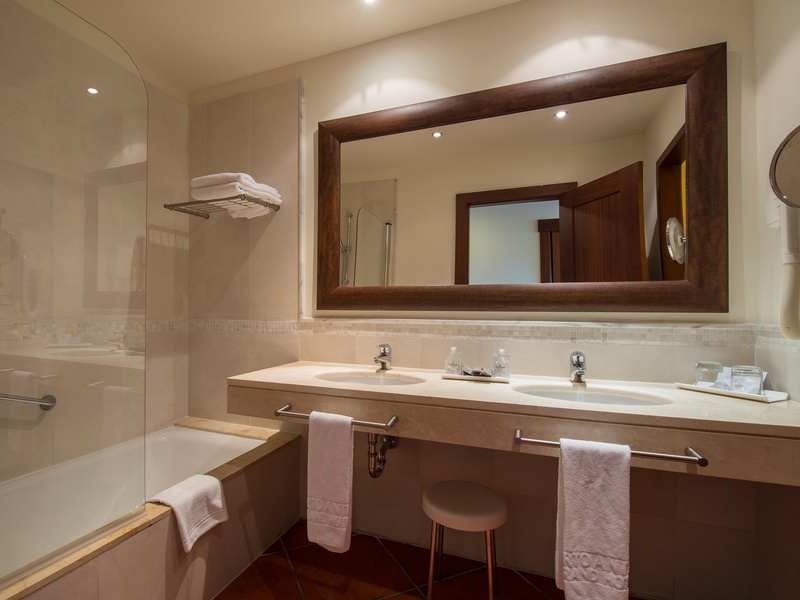 Our Standard Junior Suites are also ideal as a family room for you and your children. 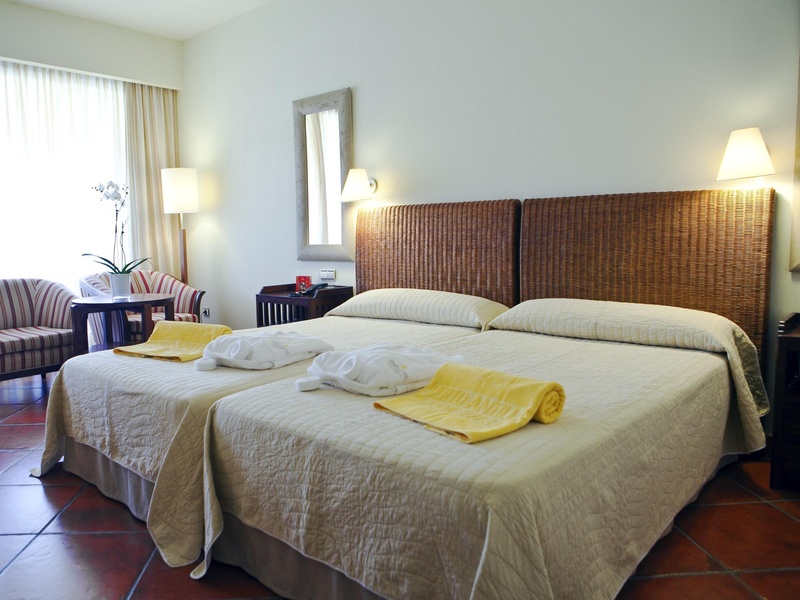 Elegant and comfortable rooms. 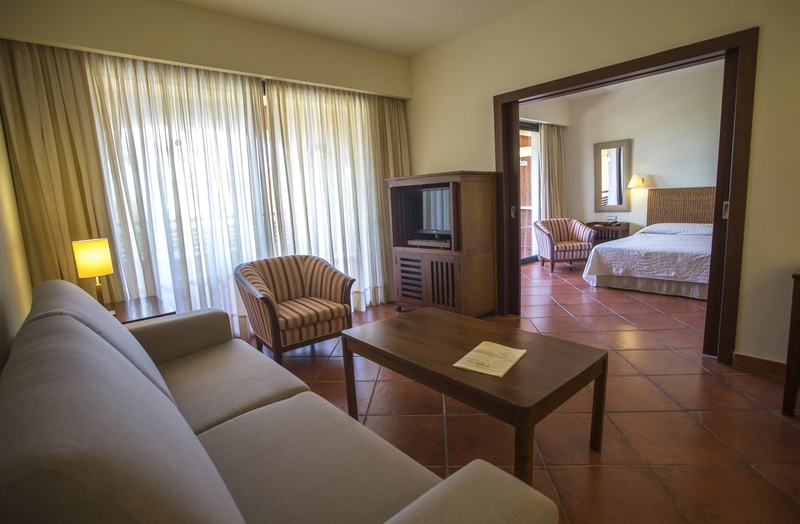 Composed of bedroom and living room. 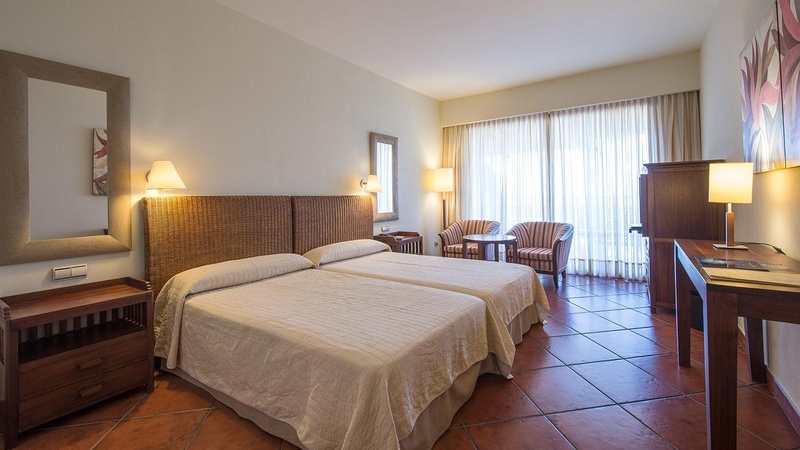 Perfect for a family holiday. 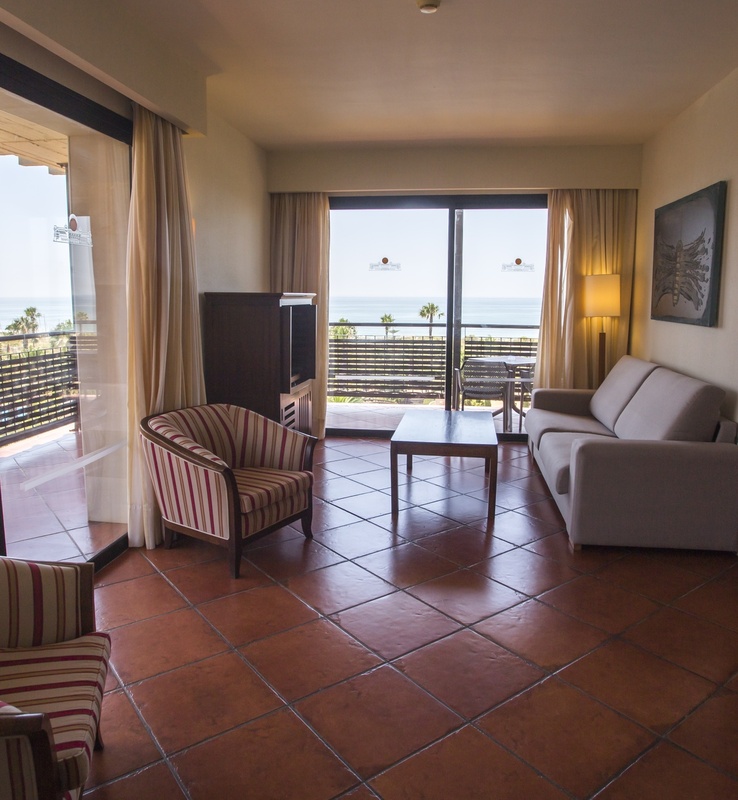 From the terrace of your Junior Suite Sea View, you can enjoy the breathtaking views of the fine golden sand beach of Islantilla, a beautiful spot on the Costa de la Luz and the Atlantic Ocean. 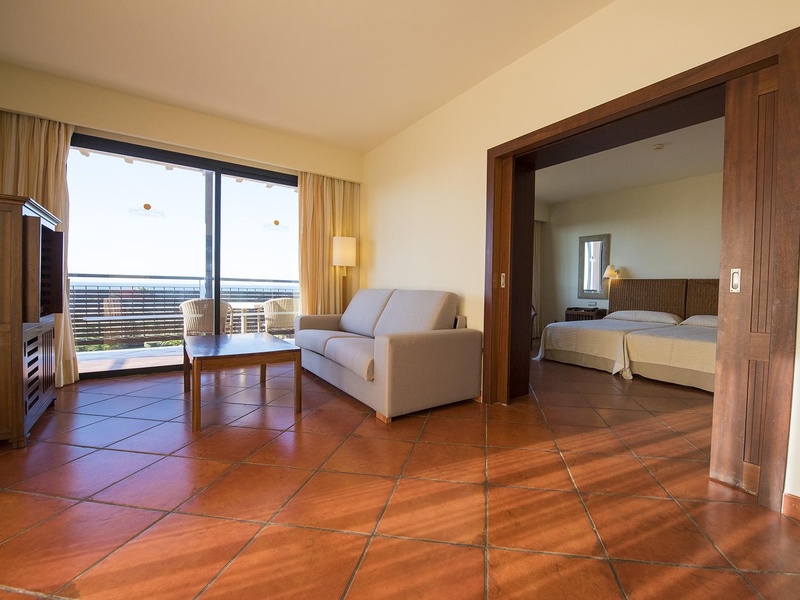 Living room with sofa bed, with sliding doors.